For the life of me, no matter how hard I try, I get too distracted to follow directions. However, I do know how to knit. I just do not know how to follow directions in order to make something complicated. If you are like me, or are a knitter, I have a great project for you. Instead of just being bored, or watching reruns on TV, you can volunteer to make prayer shawls. Comfort Care Hospice uses the prayer shawls to provide patients with warmth and comfort. They wrap the shawls with love and have their nurses deliver the shawls to each patient. It takes around 12 hours to knit a prayer shawl. While knitting stick by stick, say a prayer for whomever will get the shawl. To make a prayer shawl: choose a pretty color of soft yarn, use size 13 needles, cast on about 50 stitches and knit about two skeins. 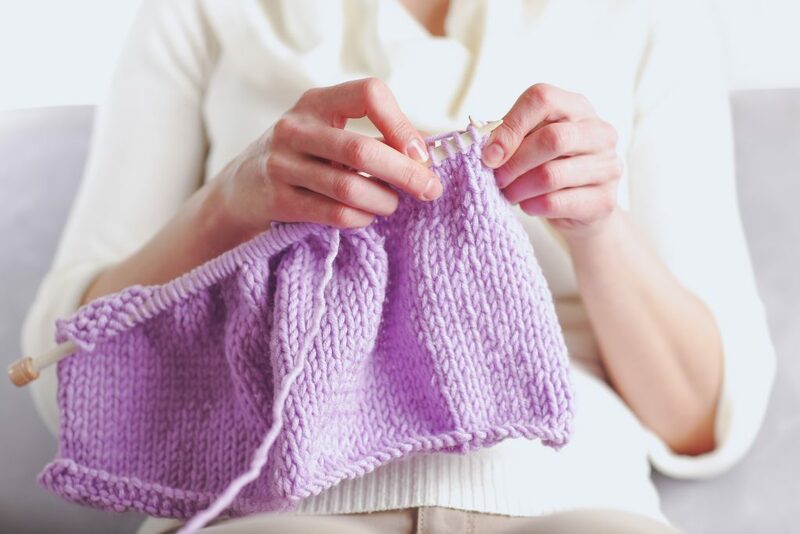 After you have completed those steps, you will have a lovely prayer shawl to comfort someone who needs a soft reminder that they are not alone. This is a gift for them. It means someone prayed for them. It means that someone actually cared. Make a difference in someone’s life. Volunteer with Comfort Care Hospice, today! Reach out to our volunteer coordinator at 877-231-0321 if you are interested in touching patients’ lives and strengthening families who are saying goodbye.